It actually surprises me how Marvel Studios puts a lot of twists and turns to the different Marvel Cinematic characters that have been showing on the big screen in the recent years, and this new Paul Rudd starrer movie, Ant-Man is really not an exception. The way the writers and director executed what was previously known in the Comics World of the Marvel Universe simply gives me an impression that everything can be changed for the better. "Ant-Man" is another exciting superhero movie from Marvel Studios to watch out for in the coming years. His debut on the big screening will surely makes fans to ask for more of the Ant-Man movie. Paul Rudd's acting is a bit cocky but in a fun way. 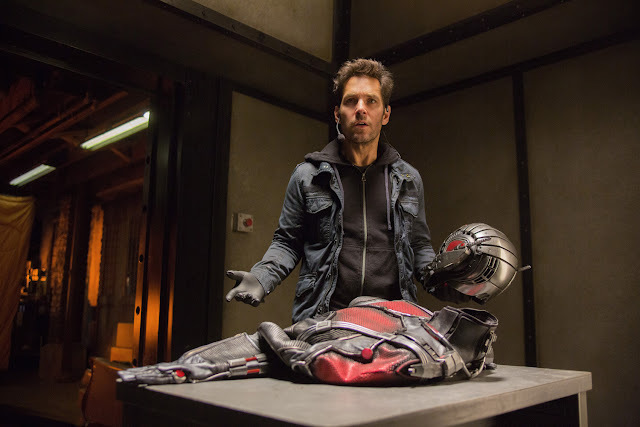 The lines thrown by Paul Rudd's character Scott Lang is so human, you'll love him the moment he opens his mouth during the showing of the film. I actually find myself waiting for the next funny line that he will throw, I find it funny (and I think everyone who has watched the film) when he ruined a touching moment in the film and some other similar things. Hahaha! In Ant-Man movie, Marvel Studios sees to it that there are only a few casualties on this film. In all fairness, only some ants died in this movie and a handful of human casualties, unlike in the last Marvel movie, The Avengers: Age of Ultron. By the way, that train wreck is so cute, funny, and awesome! The Ant-Man movie also has a heart that no Marvel Movie has ever touched. Scott Lang's love for his daughter is what has set the Ant-Man movie apart from any other Marvel Cinematic movies there is. By the way, if you are ever wondering, the movie Ant-Man is the last movie to be shown on the second phase of the Marvel Cinematic Universe. The next film to be shown is scheduled on 2016. Click the link below to know more about this phasing. It's a holiday today, so when you are trying to catch up in for movies showing this entire long weekend, do watch the Ant-Man movie from Marvel Studios. I am very sure you will love Paul Rudd and Scott Lang as well in this movie. And oh, those crazy Latino guys are also awesome! 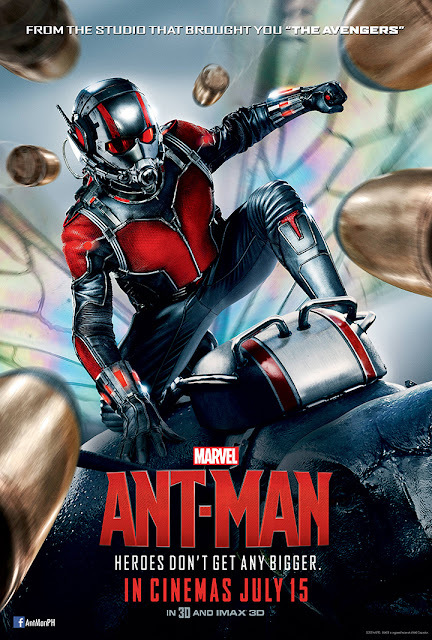 Watch "Ant-Man" full movie trailer below.